Free Candle Spells | Full Moon in Capricorn – A Super Moon as Well! The Full Moon in the astrological sign of Capricorn the Sea-Goat, will occur on July 12, 2014 at 6:25 am E.S.T. This Moon is also being called a “Super Moon” because this Moon is lining up with the Earth and the Sun in a specific point in the orbit, also known as a Lunar Perigee, and it is a point in which the Moon is nearest to the Earth. 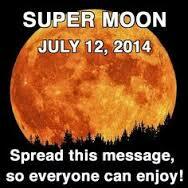 This is the third of five Super Moons occurring in 2014. The next two will be August 10th and September 9th with the Moon in August being the closest to the Earth. The Native Americans call July’s Moon the “Thunder Moon” as July is the time that the monsoon season starts in the Southwest corner of the United States, bring much needed moisture and thunderstorms to the region. Some tribes also call this Moon the “Buck Moon” as this is the month that most deer will begin to grow antlers. The Full Moon is consider a time for release and reverse. Burning “black on red” Reversible candles would benefit any of the funk and resentment you may feel coming from your surroundings at work or in other social settings. Taking Epsom Salts baths also will ease that “psychic grunge” feel you have when encountering negative people. Banish them back to their own hole of negativity by burning “Don’t Mess with Me” Candles to send them a psychic message. The Full Moon is also a time to reduce something to nothing – and Break Up candle spells to break up lovers or burning Go Away or Hot Foot candles during this time can influence nosy neighbors to move! The Full Moon in Capricorn is considered to be a “Cardinal” Earth sign, meaning that this is the most materialistic sign in the zodiac and the energy of this sign is innovative, practical and energetic. This Full Moon in Capricorn urges us to discern with the wisdom of a fatherly figure to clar out unnecessary things in our lives and to get our financial house in order. Lighting a green money drawing candle at sunset on the night of July 12th could activate needed money flows into the home, as some belief systems say that the night of the Full Moon is conducive to this as it is the last day of the Moon that is full before beginning its waning phase. 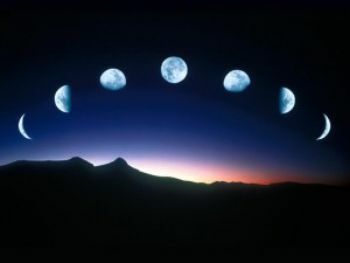 The next New Moon will occur July 26, 2014. We will begin our Mid-Year Prosperity Experiment on this date.